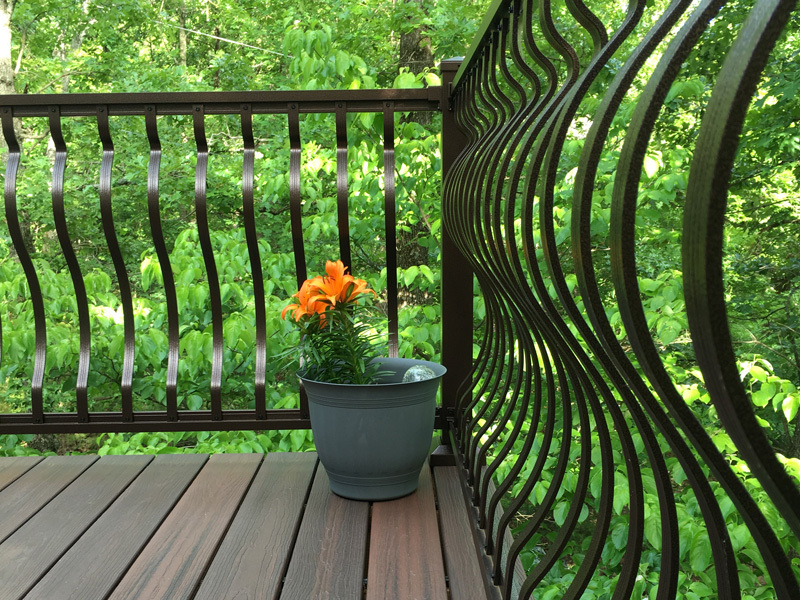 Madden Metals® pre-engineered railing systems combine the durability, strength, and low maintenance of aluminum while meeting nationwide building codes. With residential (36”) and commercial (42”) heights available, Madden Handrail® is ideal for both professional and do-it-yourself installations since no special tools or skills are required. 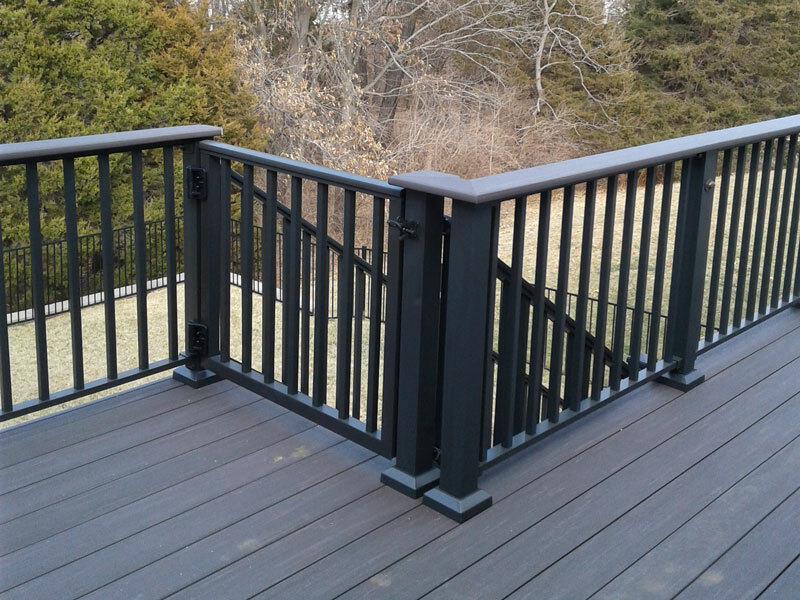 Whether installed at your home, business, or commercial project you can rest assured the 25-year finish warranty and low maintenance of Madden Railings® will provide years of satisfaction and safety. Placing order was clear and easy. Product quality is exceptional, meeting what I was looking for in both quality and product line. The product line allows for special orders of component parts. I recommend this product line for do it yourself projects. Product material and craftsmanship are outstanding. The material has strength and style. It was packed well and arrived in a very short time. It was easy to install and the instructions were easy to follow. I would purchase more of this product in a heartbeat. Assembly was easy and the quality top notch. I have installed wood rails in the past, but these aluminum rails are far superior and sturdier than the wood rails. I installed on concrete and the mounting hardware was all included. The 3-1/2 anchor bolts make this railing system secure. Very pleased. I had a couple questions and their customer service department was very helpful and pleasant to deal with. I would definitely recommend these to anyone and made right here in the USA. It is easy to put together. Two people can install in no time. Believe me if my husband and I can do it anyone can. This rail kit was easy to assemble and install. I cut this down to a 4' section and mounted it between my house and a 50" post. Dan at Madden Manufacturing was extremely helpful and quick to respond. Opened the product as soon as it arrived. Read the assembly instructions manual and got right to it. Although a generic manual it was easy to follow and had the rail system assembled in less than an hour and then 30 minutes later it was attached to my deck. Packaged perfectly no missing components; rails sturdy and superior quality in materials. I needed a handrail for my new craftsman two story. It needed to span 6 1/2 feet and tie into a stone column and the house itself. The columns are white and stone. I ordered the black so that it would blend in. It was installed in less than 2 hours and looks great! It looks like iron from a distance but with all the benefits of aluminum. I highly recommend this product.